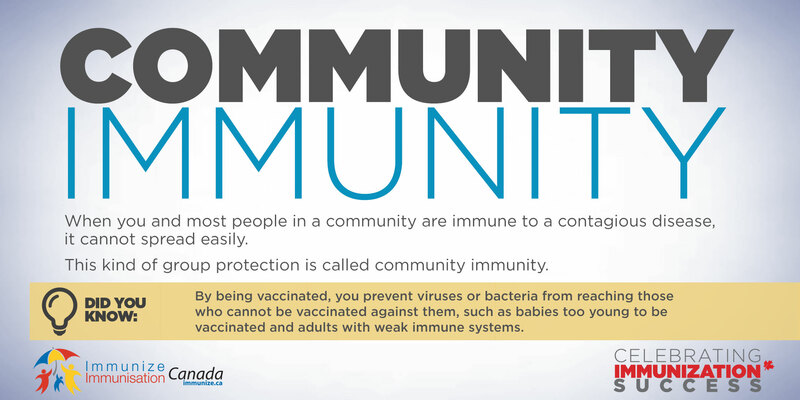 Immunization protects individuals and communities by preventing the spread of disease. As more people are immunized, the disease risk for everyone is reduced. In Canada, immunization has saved more lives than any other health intervention. Learn how immunizations help protect you from vaccine-preventable diseases and their complications. Answers to your questions about immunizations. 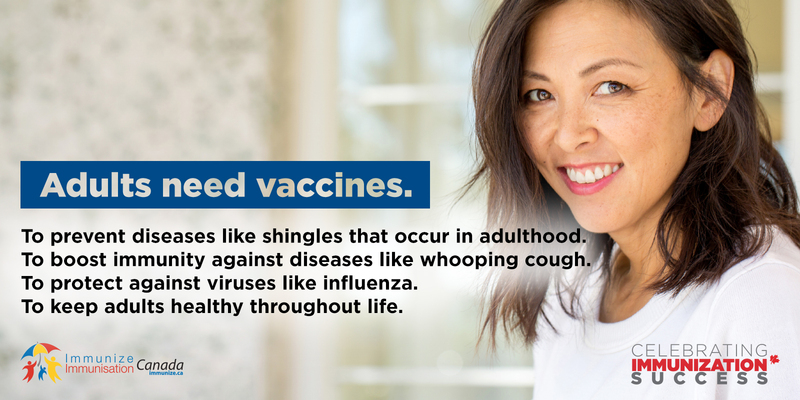 Learn about the diseases that vaccines protect against. One hundred years ago, infectious diseases were the leading cause of death worldwide. In Canada, they now cause less than 5% of all deaths – thanks in part to immunization programs across the country. Immunization protects individuals and communities by preventing the spread of disease. As more people are immunized the disease risk for everyone is reduced. Immunization has probably saved more lives in Canada in the last 50 years than any other health intervention. Immunization is the single most cost-effective health investment, making it a cornerstone in the effort to promote health. 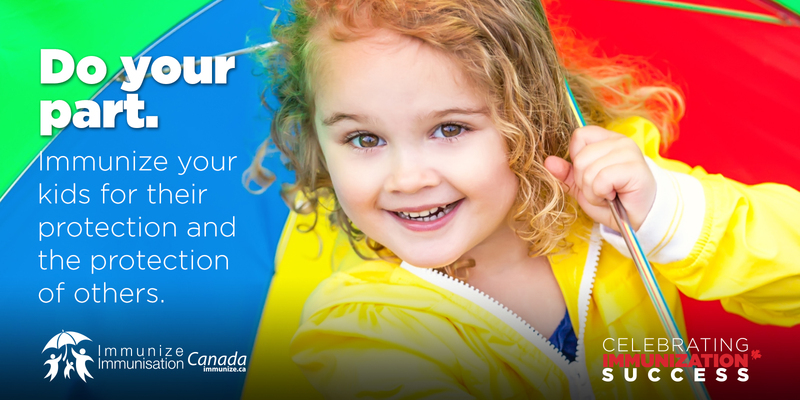 This website is for Canadians, including healthcare consumers and providers, who are seeking reliable information on immunization for all ages. It is developed, published, managed and updated regularly by the Secretariat for Immunize Canada, and the content is reviewed by immunization experts. NIAW2019: Do your part. 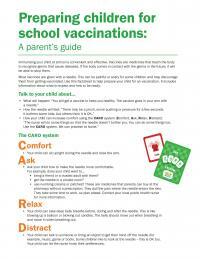 Immunize your kids for their protection and the protection of others. NIAW2019 poster: Do your part. 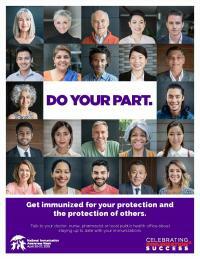 Get immunized for your protection and the protection of others. Immunize Canada is a proud member of the Vaccine Safety Net. To learn more, visit Vaccine Safety Net.